The hobby sure loves their vintage sets. 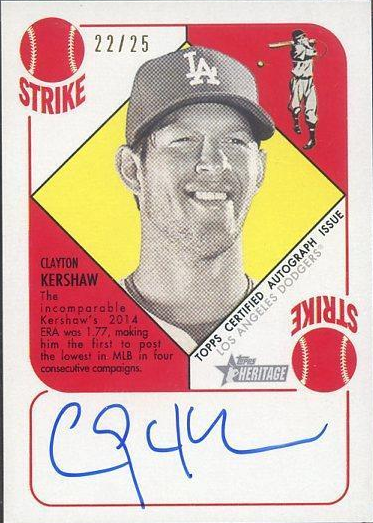 This week Topps released their newest card concoction, and it's in complete set form. It is called Topps Heritage '51 Collection and it takes an old card design (1951 Topps) and inserts modern stars all over it. They are sold as an complete base set (104 cards) and includes 21 mini parallel cards and one autograph card per box. Go here for a complete checklist. An unopened factory set will cost you from $80 to $90 a piece. If you're interested in only the base set of 104 cards then that'll probably cost you about $50 (at least that's what current asking prices are on eBay). Check out all the Dodger cards below.